With the big day right around the corner, activity in the North Pole is hitting a fever pitch. 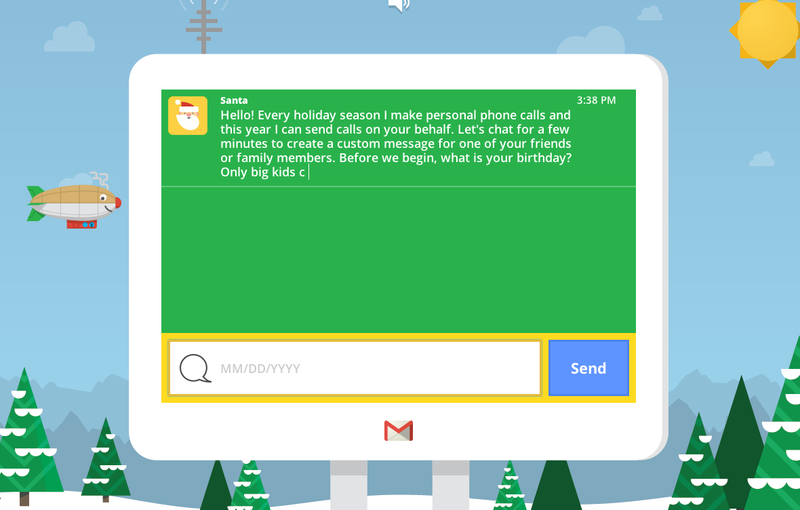 Yet, Santa will always make time to send a personalized holiday phone calls from Santa to your friends and family via his personal Google Voice line (aka Send a Call from Santa). To send a message, find the Call Center in Santa’s Village. You will be prompted to answer a few fun questions, then Google Voice will do the rest! The system will create a tailored phone call from Santa himself, and send it to whomever you wish. To get an idea of what to expect, listen to a sample message. And don’t forget: If you want to keep up with Santa as he travels around the globe delivering presents on Christmas Eve, you can track his journey on Google Maps’s Santa Tracker.